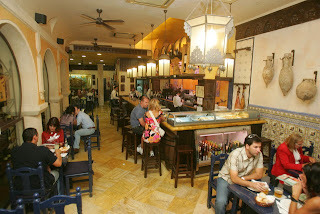 For those of you that have not been to Cordoba yet: GO! It's a wonderful city with the most amazing church/mosque you have ever seen: the Mesquita. Lots of my friends had never heard of it, but it is one of the 'must see places' in Spain.